See who won our club trophies last season, and let’s acknowledge past outstanding achievements and service to the club. Hayden Ashcroft, Tyler Campbell, Leonardo Chiarini, Aidan Fisk, Jake Griffith, Samuel Griffiths, Sean Gutkin, Alex Hughes, Matthew Johnston, Lachlan McAteer, Barnaby Merrill, Jaesung Park, Sam Warburton, Matthew Young-Thompson. Coach Paul Merrill. 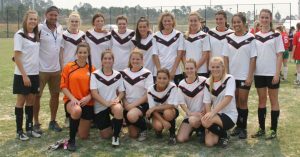 Chiara Agostino, Eleanor Bosinco-Hammett, Evie Coulter, Scarlett Ferguson, Annabel Gallacher, Eimear Harding, Rebecca Hickey, Lucy McFarland, Jodie O’Neill, Imogen Sayer, Georgina Taylor, Antoinette Theunissen, Josephine Theunissen. Coach Steve Harding. 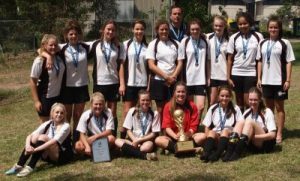 Here are our Seaforth FC teams who have won prestigious major FNSW competitions in years gone by. 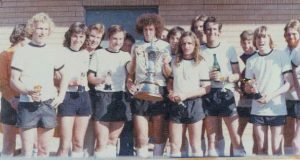 Let’s celebrate our past players who began their footballing journey at Seaforth F.C. and went on to achieve success in the football world. We’re researching this now and will update this section throughout 2019 as we find out more – we already know of two players who represented Australia! We’re proud to acknowledge the great loyalty and service to the club of the past and present members listed below, who for each of 20 different years or more have either been playing for our club or have been actively involved in running our club. Club legends! * The year shown in brackets is when they reached the 20 year milestone. ** Our records may be incomplete. If you know someone who you think should also be listed here please let us know.